This has been in my stash for a number of years and still pristine as ever. 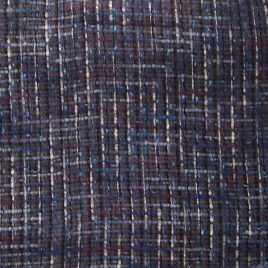 Yup, this 100% wool plaid fabric is from the world’s finest, none other than B. Black and Sons. 57″ wide and sold by the yard. This has been in my stash for a number of years and still pristine as ever. 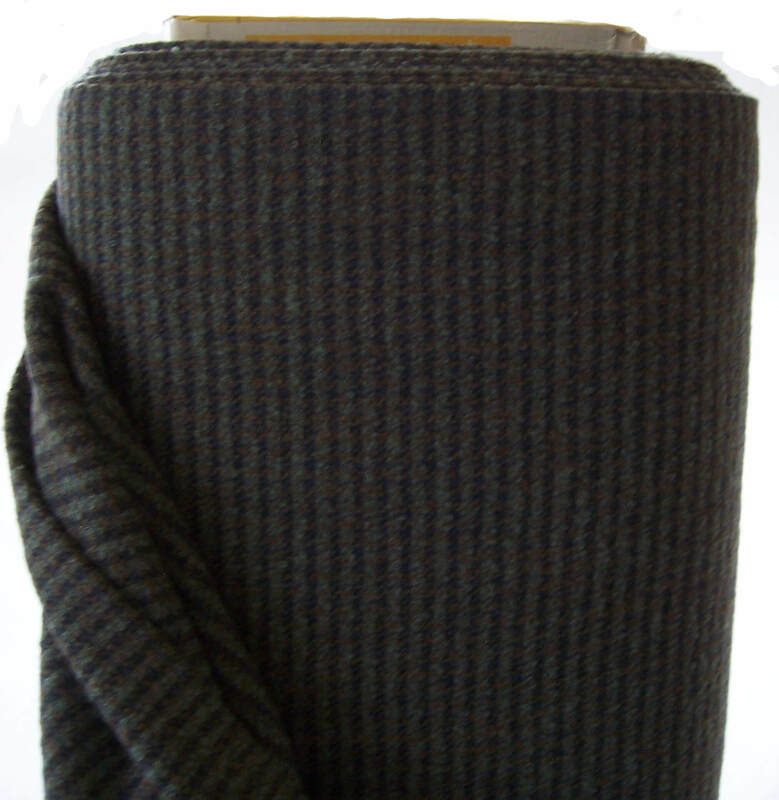 This grey stripe fabric is 91% wool and 9% nylon from the world’s finest, none other than B. Black and Sons. 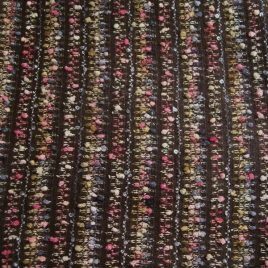 58″ wide and sold by the yard. Stripes run horizontally across the width. Fortunately for craftpersons, men come in all sizes. 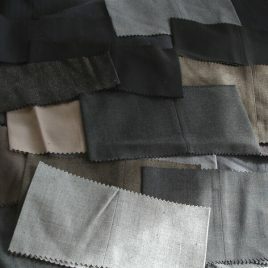 Here we have a selection of 50 wool and wool blend scrap fabric that was cut off the bottom of their suit trousers. A rare vintage find!